Dejan Stankovic is sure former boss Jose Mourinho will restore the glory days at Manchester United as he told supporters to expect success from the ‘Special One’. Identified by United’s hierarchy in the off-season to lead the Premier League club back among Europe’s elite, Mourinho has overseen signs of improvement but also some teething problems at Old Trafford. Since replacing Louis van Gaal and investing heavily in Paul Pogba, Zlatan Ibrahimovic, Henrikh Mkhitaryan and Eric Bailly, Mourinho has won the EFL Cup and is preparing for the Europa League quarter-finals, but United are stumbling in the race for the top four. Tuesday’s last-gasp draw at home to Everton – their ninth at the Theatre of Dreams this season and 12th overall in the Premier League – left United sixth in the table and four points adrift of fourth-placed Manchester City but ex-Inter midfielder Stankovic has faith in Mourinho. Speaking exclusively to Omnisport, Stankovic said: “I am sure he can, and will [win the Premier League]. “He drives on success and he definitely will not settle for partial success, especially in a club with tradition such as United. 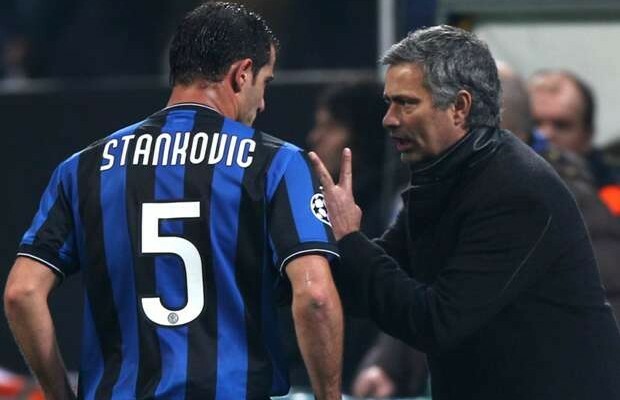 Former Serbia international Stankovic knows Mourinho very well, having spent two years playing under the 54-year-old at Inter. During his time with Mourinho, Stankovic won numerous trophies, including the Serie A, Champions League and Coppa Italia treble in 2009-10. When asked what separates Mourinho from the rest, the 38-year-old Stankovic said: “It is really hard to say, since it is difficult to choose only one thing. There are many good things that make him special. “He is fully dedicated to his work. He is focused on football and tactics. He knows how to bring out the best from a team in a physical and mental sense and makes good relations with players.